CES is chock-a-block with previews, but here's a few that have already caught our fancy. Check out this sneak peak of some Goods items, straight from the pages of our upcoming February and March issues. 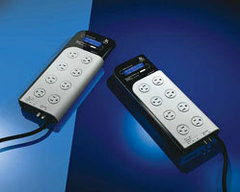 Keep tabs on your energy use with an LCD-equipped surge protector. 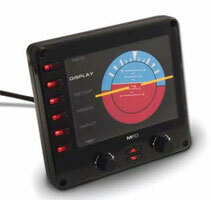 It displays real-time info on power draw, as measured by a current transformer. Logitech diNovo Mini $150; logitech.com—L.A. Trying to take a picture of yourself usually results in a crooked, blurry mess. 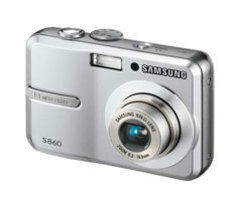 But with the Samsung S860, select the self-portrait mode and the camera snaps only when its face-detection software determines that you’re centered in the frame. side your windshield, and get 30 minutes of hands-free talk time for every three hours of sunlight. Cloudy day? Charge it from your car’s lighter. Anycom Bluetooth Solar Car Kit $100; anycom.com—M.S. Hit “snooze” on this phone’s alarm without fumbling for buttons. The camera automatically turns on to detect the wave of your hand as the phone lies on your bedside table. The same trick sends incoming calls to voicemail. 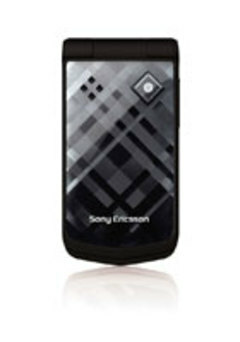 Sony Ericsson Z555 Price not set; sonyericsson.com—M.S. Re-create the feel of a bona fide cockpit with an LCD instrument panel that displays an indicator from your flight-simulator game, such as an altimeter or a fuel gauge. Bonus: It frees up space on your monitor for more virtual sky. Saitek Flight Instrument Panel $100; saitek.com—M.S. Any media streamer lets your TV play videos stored on your computer. This is the first that also lets you download additional movies with your remote. The easy-to-use menus make it simple to buy or rent flicks from cinemanow.com. 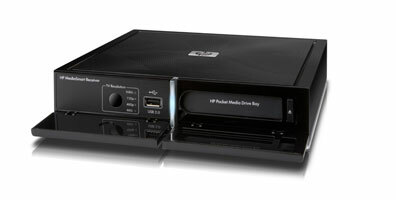 MediaSmart Receiver Price not set; hp.com—M.S. At just 2.6 by 5 inches, Panasonic’s new camcorder is the smallest and lightest that records in ultra-detailed 1920x 1080p resolution. 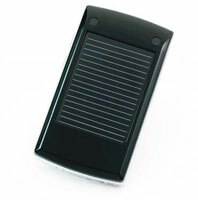 It saves space by combining four circuit boards into one, which also cuts power use and thus extends the battery life. Panasonic HDC-SD9 $800; panasonic.com—M.S. 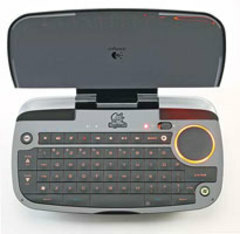 i had heard CES Goods before.they are cool. they are just great,but what ahout their price. The Little Details, Viewer’s Choice, Wave Goodbye are the best inventions, specially "Talking On Sunshine" is the amazing thing. Just WOW! Although your post is more than 2 years old now but those gadgets still AMAZE me :) Wish I could have one LOL! Anyway, thanks for the excellent work.